13th April is Samuel Beckett’s birthday. This date takes me back in time to my undergraduate days. I was an English literature student in Presidency College, Kolkata, India. 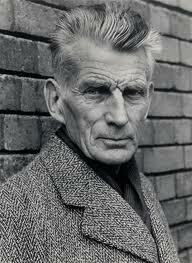 It was there in 2004 that my obsession with the Nobel Prize winning Irish writer Samuel Beckett began. Yes, let me call it obsession, to call a spade, a spade. When I met Beckett the writer, through his plays and novels, a new world opened up. It was a complex world of pain and darkness but also full of energy and stoic resilience when faced with the ‘worst.’ There was a medical situation in my family that gradually worsened for the next decade and Beckett became my personal chronicler of pain and stoic courage to encounter the fear of losing a parent. In his world, I was one of his characters, unhappy to be his puppet and yet happy to see the birth of a world that spoke to my sad helplessness. Beckett’s texts gave me refuge—perhaps, a psychoanalytic refuge. They spoke to me as if they were mine! A dear friend in college, now a stellar academic, had made a list of books, he wanted to read. Waiting for Godot featured on top of that list. Beckett was a gift, he unconsciously passed on to me. There was another psychoanalytic shadow there! As if this ghost was not enough, the title brought back boyhood memories. These were spectral memories. I was not sure to have preserved them somewhere in my mind until I saw the title of Beckett’s play in my friend’s wishlist. This uncovered another friendship! In this returning memory, I had asked my father, a professor of English literature, what the name ‘Godot’ meant. The book was right there on the open bookshelf. The spine showed the title. I understood ‘Waiting’. I understood ‘for’, but ‘Godot’? What did that mean? Did I need to pronounce the ‘t’ at the end? Did it sound too much like ‘God’? All these questions ran around in my head like little children, playing hide and seek. The word ‘Godot’ was a play-thing. It was a word that could be toyed with. Beckett gave me something to play. It was much later in my own analysis on the couch that I could unpack a little further, my deeply personal association with Beckett as a psychic anchor point. I could remember how at one time my father had not been able to write a commissioned Bengali piece on Beckett’s late triad of texts: Company, Ill Seen Ill Said and Worstward Ho. I realized how I had tried to fill in that lack by writing about Worstward Ho in Bengali, soon thereafter, for my college magazine. Beckett had taken up a crucial position in my psychic economy. All cultural differences aside, his writing had inscribed a deep mark in my head. With all this acute proximity, it was not easy to work on Beckett. In fact, it was quite a struggle to distance myself from him. But producing critical and analytical writing on him was also a way out of this deep and difficult love. Psychoanalysis was a companion to understand this complex intimacy, apart from being a critical tool to interpret Beckett. 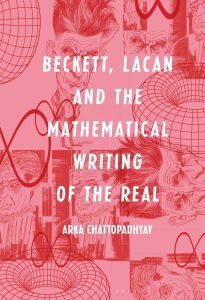 I thought, if some of the energy, pain and emotion in Beckett could be given a mathematical form—a form that lived in his works— it would settle the disturbing feeling that entails love, sexuality, embodiment and solitude. Forms of pain became my pathway into Beckett and Lacan’s obsessional mathematical logic in his psychoanalytic transmission, conjured a faint light on Beckett’s broken beings. I was reading myself as much as I was reading Beckett. And yet, this was a process of making an Other of Beckett through Lacan. It was also about reproducing a Lacan, I read through my already established Beckettian lens. It all came together on this very significant day. It was 13th April—Jacques Lacan’s birthday. Yes, the two shared their birthdays; the two birthdays half-speaking into each other. The book that I have written—Beckett, Lacan and the Mathematical Writing of the Real (Bloomsbury, 2018) is a result of this half-speaking. But there is stirrings still. There are still some stirrings in how it is! This is how it is, how it was, before Beckett, with Beckett. And All this, all this this, is without an after Beckett. ← Happy birthday, Samuel Beckett!